In the summer of 1945, a great tide of battered soldiers began flowing back to the United States. Though victorious, these exhausted men were nevertheless too grief-stricken over the loss of comrades, too guilt-ridden that they had survived, and too numbed by trauma to share in the country's euphoria. Most never saw a ticker-tape parade, or stole a Times Square kiss. All they wanted was to settle back into quiet workaday lives without fear. How tragic that the forces unleashed by World War II made this simple wish impossible. 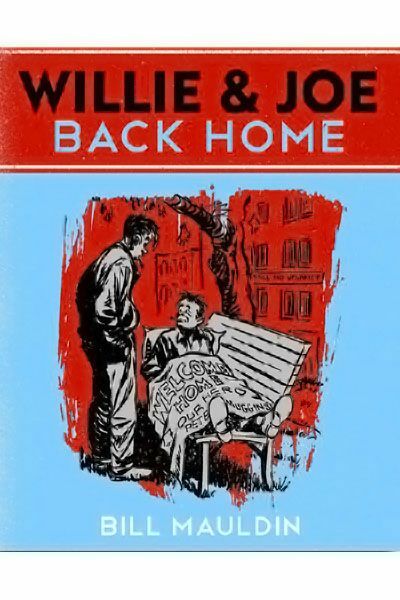 Willie & Joe: Back Home brilliantly chronicles the struggles and disillusionments of these early postwar years and, in doing so, tells Bill Mauldin's own extraordinary story of his journey home to a wife he barely knew and a son he had only seen in pictures.